While many people have come to prefer Android devices over other rivals, especially because of its affordability and flexibility, most of the users still want some more anonymity with their smart devices. It is very important to ensure no prying eyes are interloping into your device as you carry out your usual chatting on WhatsApp, Messenger and Instagram. With the advancement in mobile technology, there are now tons of spy apps for Android that makes your activities undetectable. As such the demand for spy apps is on the rise, with lots of people living between two worlds – the real world and the Web, having different monikers on social media. Most importantly, the kids now spend most time online, and therefore, could be exposed to bullying, trolling and other vices online, so concerned parents are always looking out at what are the best spy apps for their kids on Android. Here, we’ve outlined the best spy apps for Android, so you won’t have to go through the experience of encountering fake, outdated, risky or malware apps that are masquerading as spy apps but only to harm your computers. 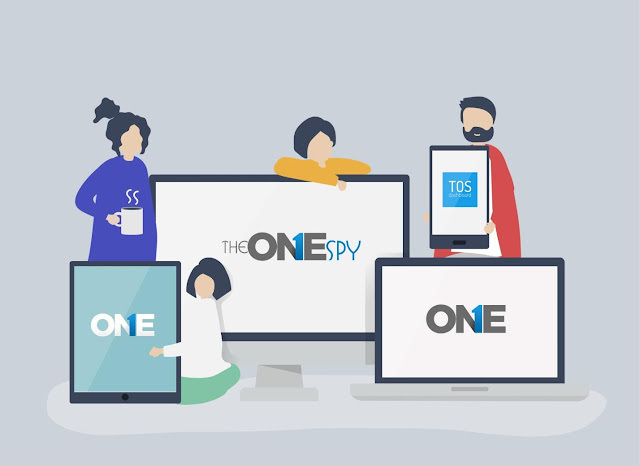 TheOneSpy is perhaps the most advance and reliable spying and monitoring software for cell phones and computers. 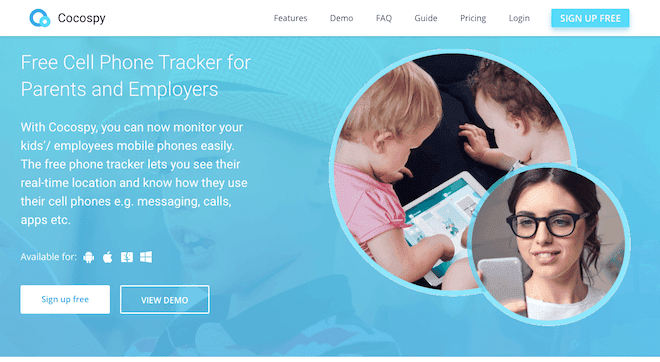 It is in fact the number one monitoring solution for digital device activities for parents and employers. The application/software is fully loaded with voice, data, and location packages. It can record all the incoming and outgoing voice calls, text messages and instant messengers chat as well. 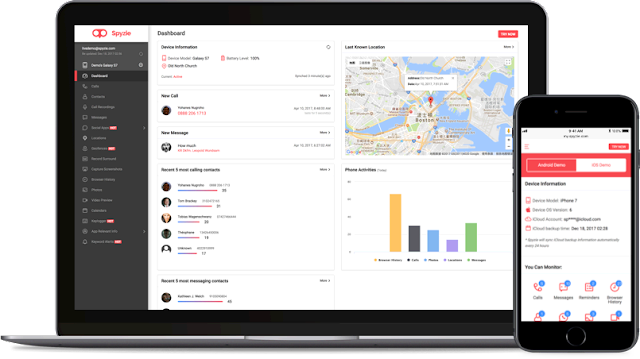 The application can track the location of lost and stolen devices with the GPS tracking function, so the user can know the whereabouts of his/her target phone easily. With Camera & mic bugging as the most advance and demanding feature of TheOneSpy Android monitoring app. Also there is a 24/7 live chat support available on the online store, and the software is available for only $0.6 a subscription per day. How to initiate with TheOneSpy Mobile Spy Software? TheOneSpy is pretty easy to use for both non-tech savvy and savvy users. The user only needs to install it and subscribe to the app on the target device, activate it and all is set. It starts monitoring right after the activation. Simply log in from your secure user control panel and start your surveillance. Cocospy - is perhaps the best spy app for Android because it comes with a wide range of unique and powerful features, and also highly trusted by the community. It already enjoys a huge support, with millions of users from over 190 countries around the world. Though it is a relatively new app, but still it has garnered lots of trust having users at ease because they trust their services. 1. It allows users to spy on Android phones without root access, while most other spy apps require you to root your phone. Rooting your phone makes it more vulnerable to malware attacks, as Cocospy has some advantages as it can spy without rooting. 2. Cocospy can save all of the target’s information in your control panel, so that even if they delete the files, you can still easily access them. 3. It offers you a FREE LIVE DEMO that you can try out! Then access the target phone to install the Cocospy app into it, which will allow you to gain access to all the basic features. 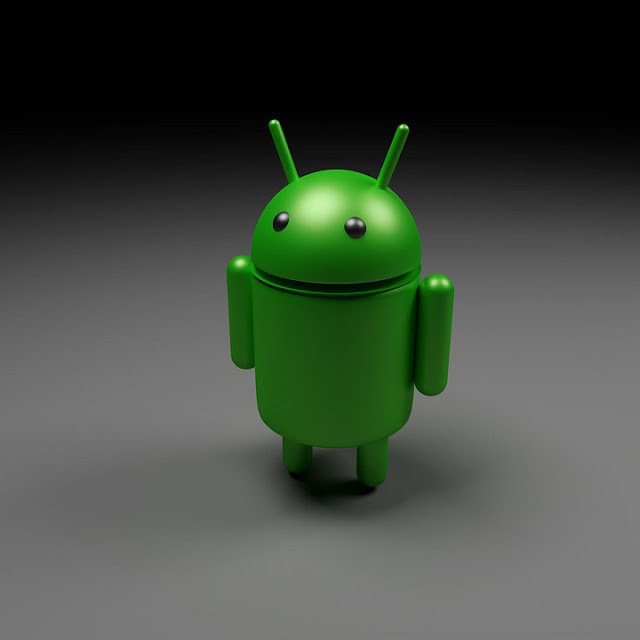 However, if you want all the advanced features, you’ll need to root your Android phone. From the Cocospy dashboard you can find a list of functions in the left-hand panel. Use that to access any part of the target phone. Additionally, if you root your device you will gain access to some advanced features such as: Geofencing - Set up a physical boundary for the target phone. So that whenever the target individual leaves the boundary, you get an instant notification, which is great for keeping track of the kids. mSpy - is a popular spy app for Android with almost all of the same features and capabilities as Cocospy, but it is more expensive. mSpy allows you to spy on the target Android phone without rooting it as well. mSpy gives you access to all of the features only when device is rooted. But If you don’t root the target Android phone, you can only access basic features like GPS location tracking, message and call logging, checking browser history, etc. However, if you root the target phone, you will get access to the advanced features, as follows: Keylogging - Allows you to gain access to a log of all the keys being pressed by the target phone, so that you can use that information to figure out the password to all of their social media accounts. Geo-Fencing: Just like Cocospy, it allows you to set up a physical parameter for the target phone, while crossing that boundary will trigger an alarm on your phone. Spyzie - is another powerful and efficient spy app like Cocospy and mSpy. But it isn’t as reliable as the other two above. Both mSpy and Cocospy have a large number of rave user reviews and they’ve been featured by prominent online publication. However, Spyzie seems to be more obscure, which of course makes it less reliable. It can also spy on Android phones without having root access to them. Spyzie best aspect remains that it is more discrete, which is also its bane. Both mSpy and Cocospy allows deleting of their icons from the target phone after installation. But, Spyzie deletes automatically, even if you forget to do so, you don’t need to worry at all. These spy apps are without doubts the best available for Android. And, you can be rest assured of their performance, as the right spy app that gets the job done. But If you ask for our recommendation, go for Cocospy. Because it’s extremely reliable and user-friendly, but above all reasonably priced. Overall, the top 3 spy apps will be worth your every penny whichever you decide to go for!